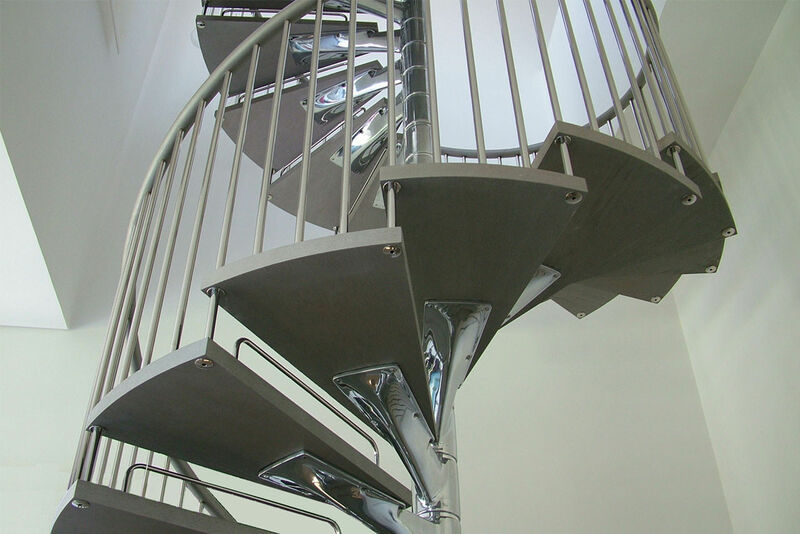 This pair of very high spiral flights was part of a larger contract for a private residence in the Emirate Hills area of Dubai. 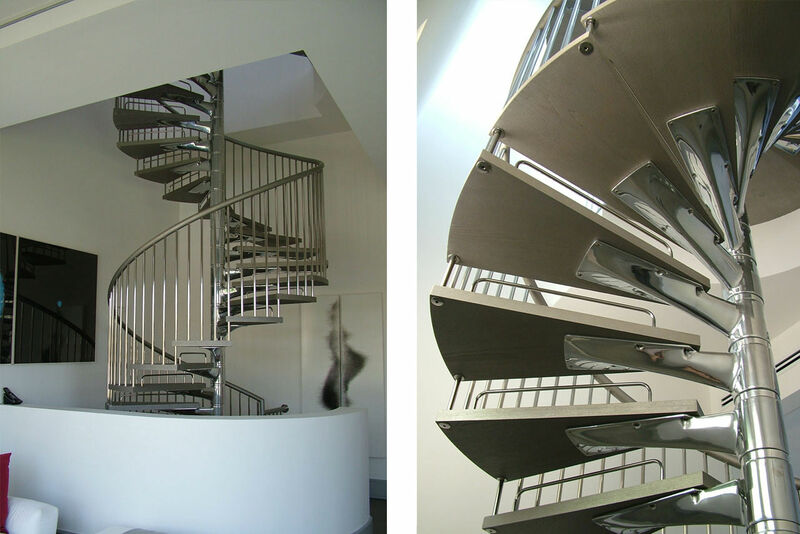 The stairs are based around the DS9 system with mirror polished aluminium brackets. The balustrade is also highly polished and the treads and handrails are European Oak which has a special distressed finish to match the flooring elsewhere.